Use this Liberty Hammercraft 1-1/8 in. 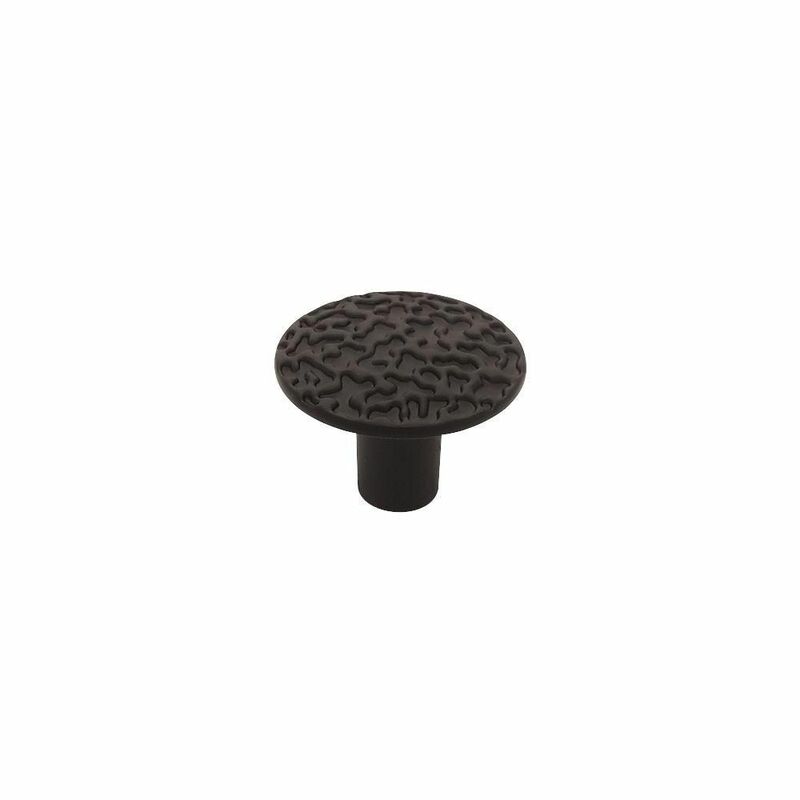 Black Round Knob on a cabinet or drawer in your rustic home. The flat black finish beautifully complements the hammered pattern. Mounting hardware included for easy installation. From Liberty Hardware, the Grace Knob is a classic design that will complement traditional or casual style rooms. The style is a great accent in both kitchens and bathrooms. Available in a variety of finishes to coordinate with most wood tones. Make a bold statement when you display the Liberty Harmon 1-3/8 in. Knob. This stylish piece of hardware possesses a sturdy base with intricate ring designs on every layer of this classy piece of hardware. The rear-mounting feature creates an easy installation experience. 1-1/8 Hammercraft Round Knob, 1 per package Use this Liberty Hammercraft 1-1/8 in. Black Round Knob on a cabinet or drawer in your rustic home. The flat black finish beautifully complements the hammered pattern. Mounting hardware included for easy installation. 1-1/8 Hammercraft Round Knob, 1 per package is rated 4.3 out of 5 by 27. Rated 5 out of 5 by Sean from These really accented the hinges. ... These really accented the hinges. Rated 5 out of 5 by Poppy from Really pleased I was really worried after some of the other reviews that I read on these but I ordered about 40 of them and they were all great. I am very pleased with this purchase. Rated 2 out of 5 by Jen from These knobs were bent and a couple of the knobs were bent so bad that they were actually cracked.... These knobs were bent and a couple of the knobs were bent so bad that they were actually cracked. I got 8 of these knobs and 6 of them were messed up as in defective. I didn't feel like taking the time to send them back so I said the he'll with it and I just won't order from this site again. I never order anything online and the one time I do the stuff I receive is up to par. I am disappointed in them. I would send a picture along with this letter but unfortunately I accidentally deleted from my phone. Rated 5 out of 5 by Stella from Looks great on my maple kitchen cabinets & the price... Looks great on my maple kitchen cabinets & the price is great too! Love them! Rated 5 out of 5 by Tam from Nice for black and white color scheme. Nice for black and white color scheme. Rated 5 out of 5 by jack from Very good value for the money. Looks nice. Costs very... Very good value for the money. Looks nice. Costs very little.